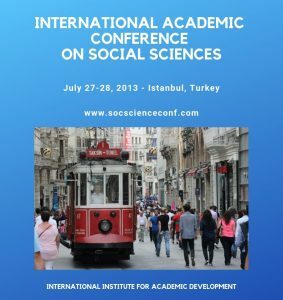 The first International Academic Conference on Social Sciences completed successfully on 27 July 2014 in Istanbu, Turkey. The conference was attended by delegates from more than 30 countries (Georgia, Turkey, the U.S., Australia, China, Korea, Bulgaria, Romania, Slovenia, Great Britain, Greece, Czech Republic, Netherlands, Russia, Poland, Albania, Canada, India, Pakistan, South Africa, Iran, Taiwan, Indonesia, Malaysia, Saudi Arabia, Ghana, Kosovo, etc.). 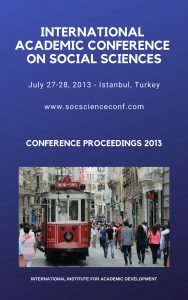 19 sessions were held during the conference and about 85 papers have been presented in different fields of social science. scholar at the University of Wisconsin-Madison Center for Research on Gender and Women. 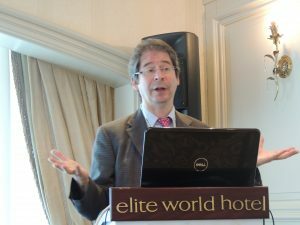 Prof. Toktas’s research interests include women’s studies, Turkish politics and foreign policy, minority issues and international migration. She conducted research projects which were funded by TUBITAK (the Scientific and Technological Research Council of Turkey), UN Population Fund and Turkish Academy of Sciences (TÜBA). Her publications appeared in academic journals some of which are International Migration, Middle East Policy, Political Science Quarterly, Women’s Studies International Forum, Third World Quarterly, Violence against Women, East European Quarterly, European Journal of Women Studies, Minerva, Turkish Studies, Middle Eastern Studies, Women’s History Review, Ethnic and Racial Studies, and the Muslim World. 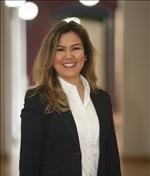 She co-authored three books on documentation of immigration in Turkey, Syria-Afghanistan politics and think-tanks and foreign policy making in Turkey.